Haitian Pikliz is mildly acidic and full of flavor. 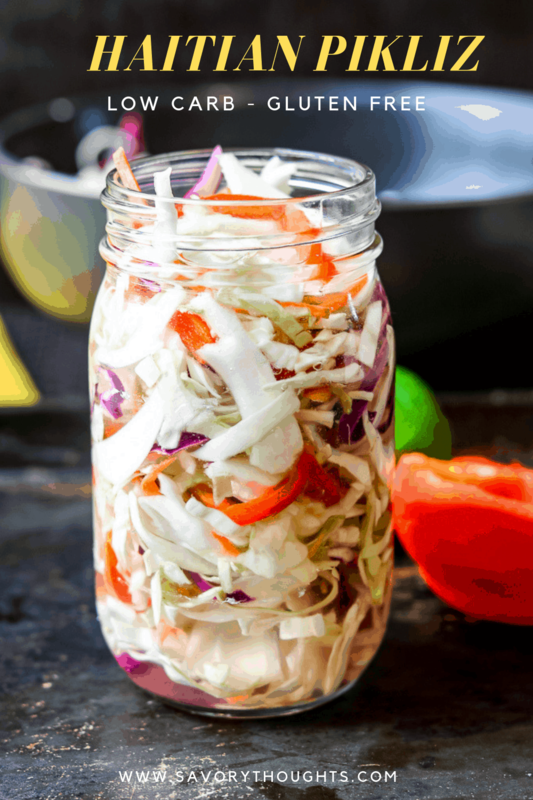 It is also knowns as Spicy Coleslaw or Pickled Coleslaw. This slaw is a Haitian’s favorite condiment when it comes to fried food. It is also served with other dishes such as red beans and rice, fish, poultry, beef, and pork. 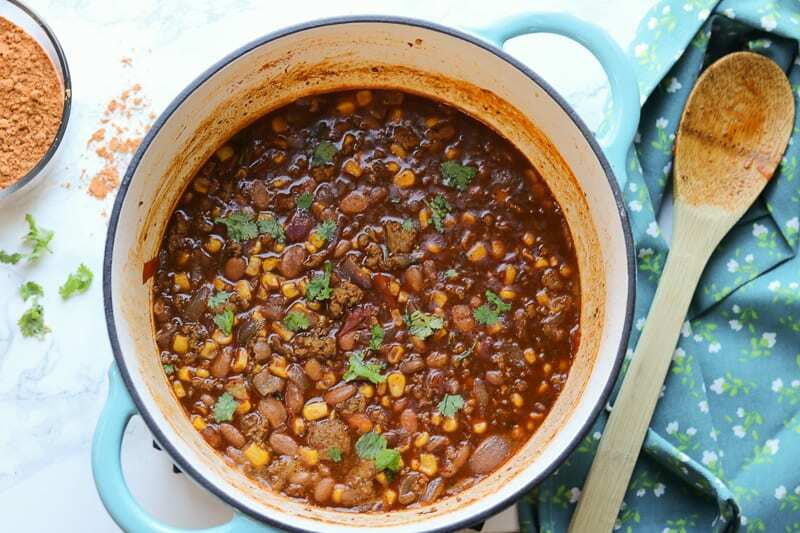 This pikliz recipe is used to enhance the flavor of any dish – guilt free! Savory Thoughts: Always believe something wonderful is about to happen. Believe it or not, I did not grow up eating pikliz. I always thought it was too spicy. However, as an adult, I can’t get enough of it. Especially when eating it with fried plantains. There are so many Pikliz recipes out there. But by far this is my favorite. It is simple. Doesn’t require a lot of work and can be done in a matter of 10 minutes or less. 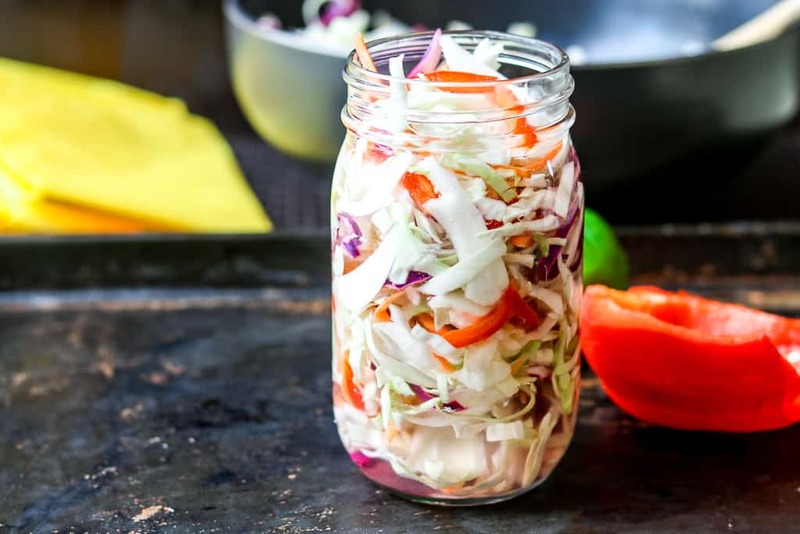 You’ll need the base ingredients-vinegar, cabbage, carrots, and peppers. Or you can use the coleslaw mix as I have done. The already made mix cut the majority of the work for you. Gather all the ingredients as described on the top picture. Add all of the ingredients in a large bowl. 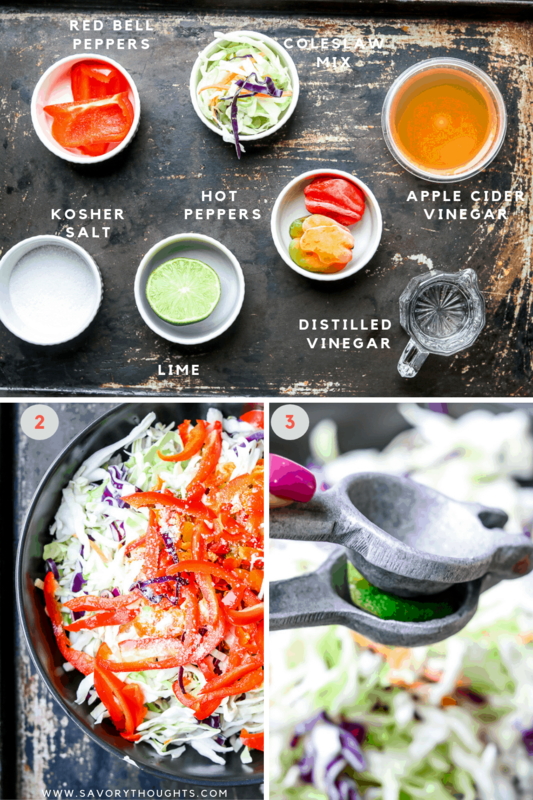 Drizzle the lime juice over the coleslaw mix. Toss to mix well. Transfer to an airtight container or mason jar. Refrigerate for up to 2 hours before serving. Enjoy! Other Ingredients To Add In Pikliz Haitian Recipe? You can add onions, bouillon cubes, jalapeno peppers, scotch bonnet peppers, and or radishes. Did you make this Pikliz recipe? Tag me on Instagram or Facebook and please give it a star rating below! SAVE THIS HAITIAN PIKLIZ RECIPE TO YOUR PINTEREST BOARDS! A Haitian's favorite condiment when it comes to fried food. Aside from fried food, Pikliz - Spicy Coleslaw is served with other dishes such as red beans and rice, fish, and pork. 1 bag tri-color coleslaw mix 1 lb. Place all of the ingredients in a large bowl. Mix well with a fork. 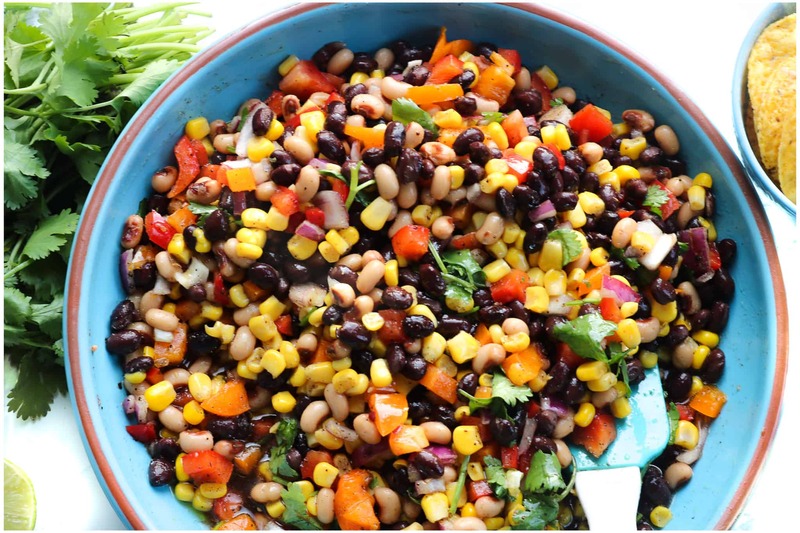 Place in an airtight container and refrigerate for up to two hours before serving. After a few days, the cabbage and carrots will soften slightly but retain their crunch which will add texture to any meal. This bright pikliz is the ideal for any time of the year and is perfect for backyard parties, and beach parties, and family functions. It also pairs well with kebabs and salmon cakes. Pikliz usually last up to 6 months in the refrigerator in an airtight container. Just add vinegar as the liquid lowers. Using a mason jar is also great for storing pikliz as well. Oh my goshy! Im going to try this and make it for my guests. Its pretty cool that it can lasts for months. This will be perfect for my veg sandwiches too! I hope you like it, Jenna. It’s spicy. Let me know how you like it. 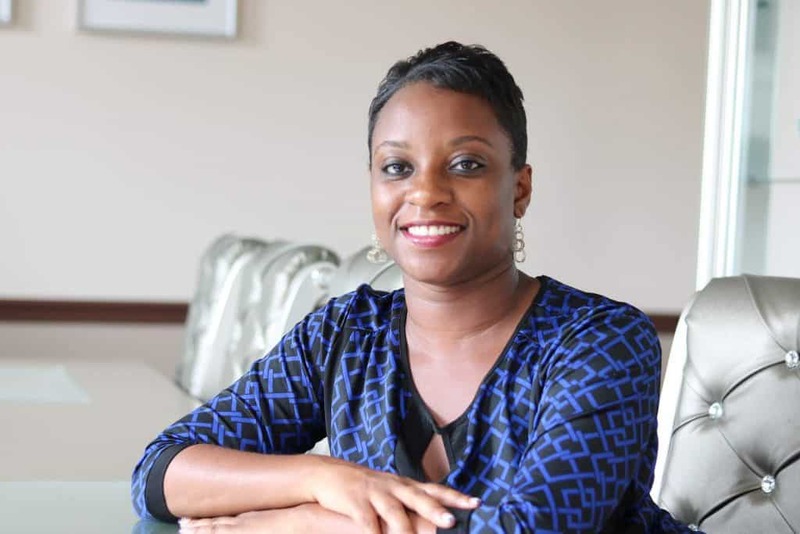 @Mdesir…Her name is Jena….like my daughter. I think I’m going to like it even more made with the cilantro! I intend to make pikliz jars for culinary gift giving! That’s a wonderful gift idea. Thank you, I did not think about that. Perfect gift. 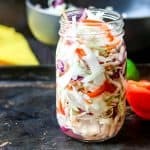 I really like triple color coleslaw. This recipe looks super delicious and fresh! It’s very easy, indeed. I also love the fact it lasts a long time in the refrigerator. My first thought was “do you think you use enough peppers” but my second one was that my middle son (the pepper man) would LOVE this! hahahah! The key is to make it spicy, very spicy 🙂 Thanks for reading Kathryn! Love this recipe! Will definitely try it out.thanks! I love it that this coleslaw contains no mayonnaise. I get so tired of the same old calorie-bomb coleslaws! 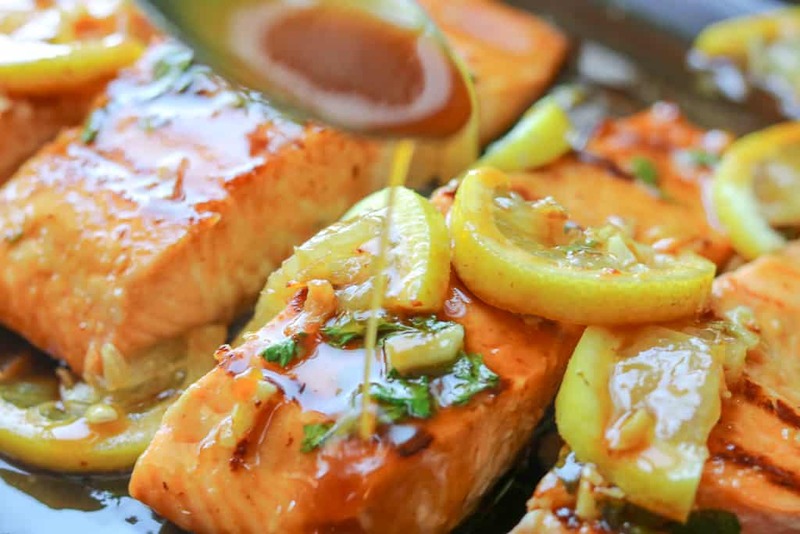 The spicy tanginess of this version sounds absolutely delicious! It is so awesome that this could stay in the fridge for days ! I think these will go perfect on my fried fish sandwiches . It does look like a great condiment to fried dishes! I would imagine that beans would be perfect, too! Great recipe. Thank you, Elaine. It is one of our favorites to have in Haiti. 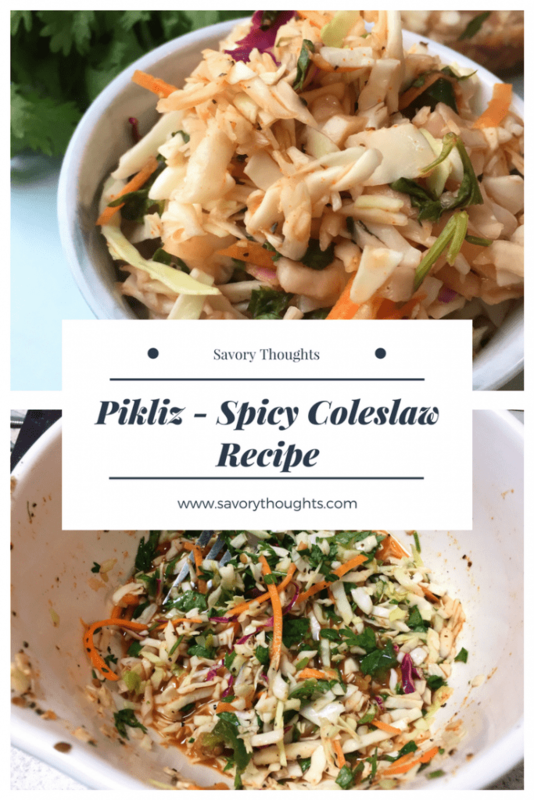 I like how you modified this Pikliz – cilantro sounds amazing! I have started to use it in many dishes now – thanks to its incredible flavor that is so unique! Great recipe. Hello, Jacqui! Thank you for your wonderful comment. I am glad you are using it many dishes and found it to be delicious!